Revisr is a free WordPress plugin that allows you to easily manage and deploy your websites, plugins, or themes by harnessing the power of Git. Revisr was built with simplicity in mind, so all of it's key functions are just a click away. You can toggle between branches, or pull down updates from GitHub or Bitbucket without leaving your site. Easily view changes in files. 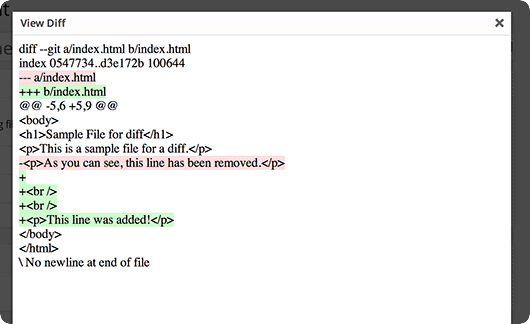 Revisr will automatically detect changes in files using Git, giving you snapshot of the changes to your website. 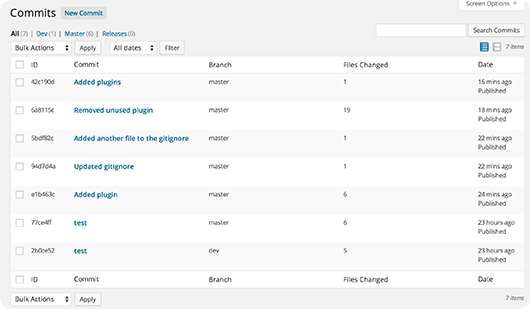 View diffs for modified files straight from your WordPress dashboard. Revert Instantly. Don't worry about plugin upgrades. Sometimes things go wrong. When they do, Revisr will be there for you, letting you easily revert your changes to a previous commit. 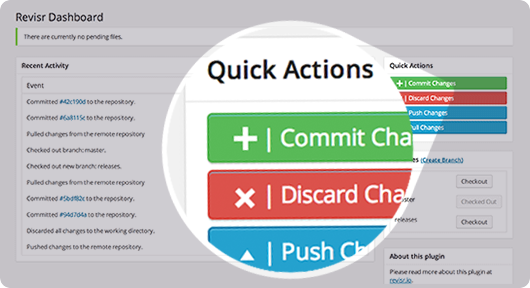 Commit right before a plugin upgrade or while testing changes to have a backup of your site if something goes wrong.